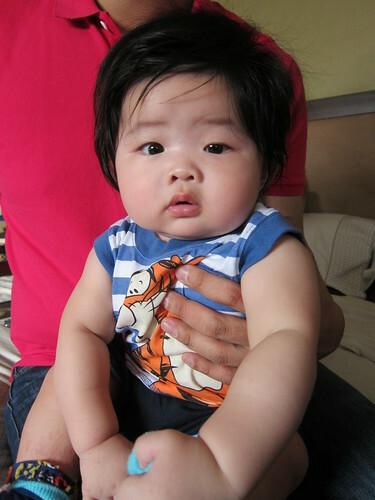 Day 16 of Yaya-cation: Warren turns 8th months Today! Warren is officially 8 months old today! 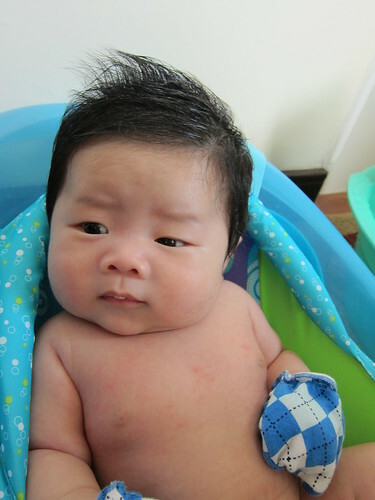 Since I’m going to Thailand this weekend (more on that in the next post), we’ll be bringing him to the doctor for his 8th month check-up next Wednesday. I think he looks quite different now. I’m intentionally using everyday photos and not the ones shot professionally. Vaccine: He was given a flu shot since the measles shot is out of stock.